You can cancel Spotify premium trial very easily. Users can get rid of Spotify from their both Android or iOS by using this method. You can directly stop Spotify from charging you on your account. It will completely wipe out all card details and other from Spotify account, and you will be able to stop premium services of Spotify. You can use this method on Smartphone or Windows PC/Laptops. Offering premium trial to the customers is the best way to attract them towards the service. This is what Spotify also does. Spotify offers new users or customers to let them use the premium trial for limited days without paying a single penny. But, what about if you want to cancel Spotify premium trial and don’t know the technique to do so. Well, Spotify allows the users to cancel the premium trial anytime when they want. 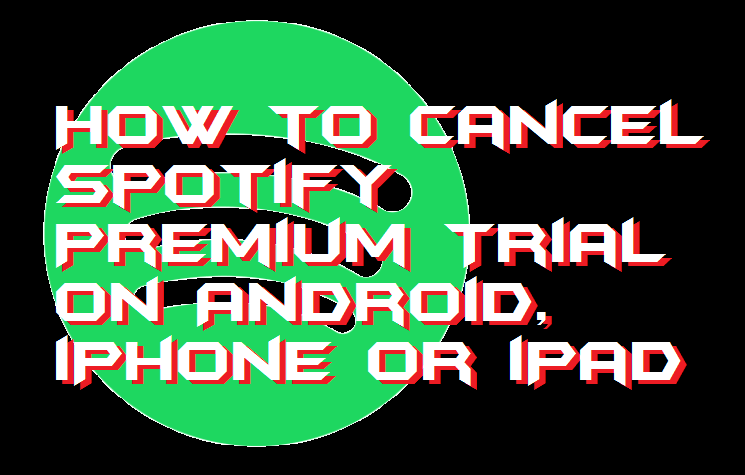 However, to do so, you have to use a simple task which is permitted by Spotify to cancel a premium trial. You can even put music on iPod with iTunes. 1 What is Spotify Premium Service? What is Spotify Premium Service? Basically what Spotify premium service is that where you will listen to unlimited music without ads. As we all know in today’s world the only way of the earning to these big companies like Facebook, YouTube, Spotify, etc. is the advertisement only. However, some more features are offered by Spotify to its users in the premium service. Premium services contain more privileges to you because you pay some money for that service. Nothing else the premium services includes. Users can also delete Spotify account on Android, iPhone or iPad. Apps are the thing that made the services handy. The users have to click on the icon of the app, and the services are served on their hand. Spotify and other companies provide more facilities in the apps whether its Android, iPhone or iPad. But, what about if you want to cancel Spotify premium trial on your mobile phone? Let me tell you that currently, Spotify does not offer its users to cancel Spotify premium trial through the apps on Android, iPhone or iPad devices. However, if you want to do so, then you can do it on the web. Also, try these free apps to listen to music without WiFi. So, you have made your mood to cancel Spotify premium trial, right? Well, on the web a user can easily cancel his or her Spotify premium trial. In this part of the article, you are going to get a method by which you will be able to cancel Spotify premium trial anytime using a simple web browser only. There is no such requirement and no such eligibility to cancel Spotify premium trial like other services. Try these 10 best free Chromecast streaming apps for both Android and iPhone. On a web browser and open Spotify.com [LINK]. Then, click on the user profile icon. Scroll down and click on Subscription then click Change or Cancel. Now, select the Switch to Free button. Lastly, click on Yes, Cancel to cancel your Spotify premium trial. This was the entire article about learning how to cancel Spotify premium trial. We have also checked that what Spotify premium services are and how to cancel Spotify premium trial on Android, iPhone, and iPad. This was the only way to cancel Spotify premium trial. Also, let me tell you that this is the official method which I have shared with you guys to cancel Spotify premium trial. You can follow the above process if you want to cancel Spotify premium trial right now. Share this article with the person who wants to cancel his or her Spotify premium trial.